The rousing scenes in London on the day war was declared are vividly described in a diary entry from Indian Army officer Lieutenant Charles Mosse of the 120th Rajputana Infantry. On 28 June 1914 Arch-Duke Franz Ferdinand, the heir to the Austro-Hungarian throne, was assassinated in Sarajevo by a Bosnian-Serb. His death sent a shockwave through Europe’s intricate alliance system and saw the major powers prepare for war. 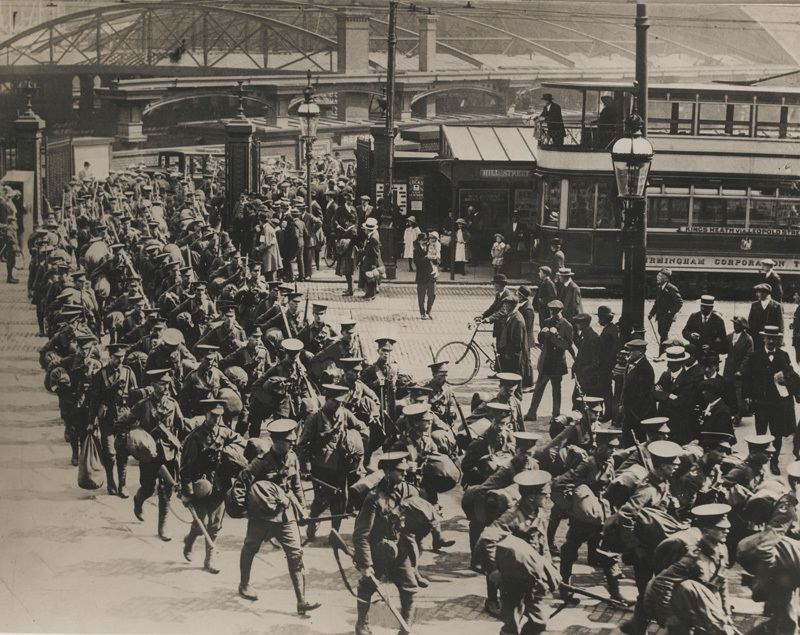 Throughout July 1914 the British Army prepared for mobilisation as the crisis deepened. Army leave was cancelled, Reservists were called up and units placed on alert. Germany’s war plan was based on a quick strike against France while Russia, France’s ally, was slowly mobilising. On 1 August 1914 the Germans declared war on Russia. Three days later they invaded Belgium in order to attack France. This violation of Belgian neutrality led to a British declaration of war on Germany on 4 August and mobilisation of the armed forces. Eight days later war was declared against Austria-Hungary and three months later against the Ottoman Turks. ‘Things getting more exciting daily. Peter came back with a complete sequence of “special” editions of “The Star”, “Evening News”, etc. and the house is littered with them. 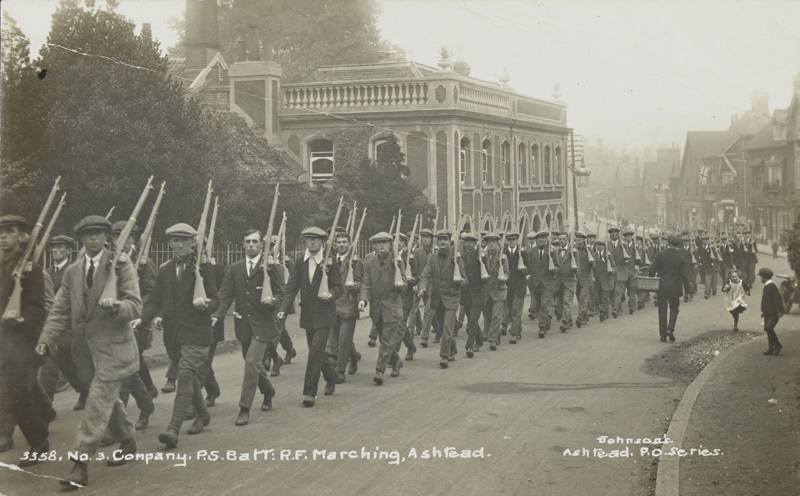 The town is all excited about German and French mobilisation and the war between Russia and Austria. The general feeling is violently anti-German but around Trafalgar Square there were several people dishing out printed pamphlets headed “Reasons why England must not go to war”. 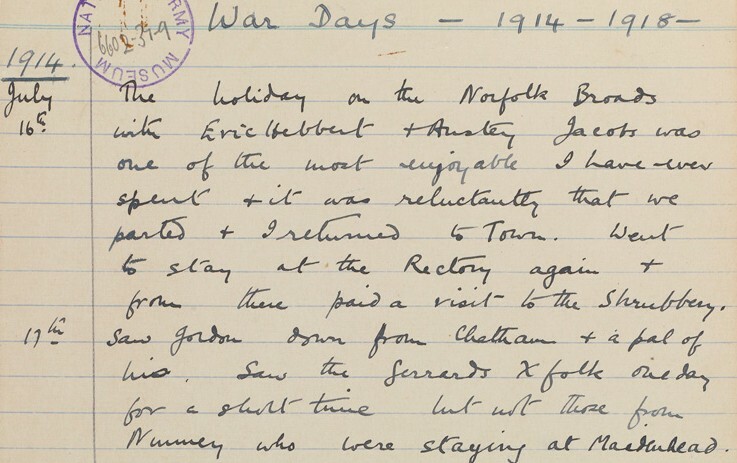 ‘In the evening [we] went to a piece called “Eliza comes to stay” at a theatre on the Strand. The noise of newsboys and shouts of the crowd made it impossible to fix one’s attention on the play. At about 11pm terrific bursts of cheering could be heard from the street outside, echoing and resounding from Trafalgar Square to Westminster and Buckingham Palace. We left the theatre as did everybody I think and walked down to Buckingham Palace through considerable crowds. At the palace there was a crowd of several thousand collected in the hopes of hearing the King speak from the balcony; the cheering was such as I have never heard before nor expect to hear again. It was known that war had been declared against Germany. 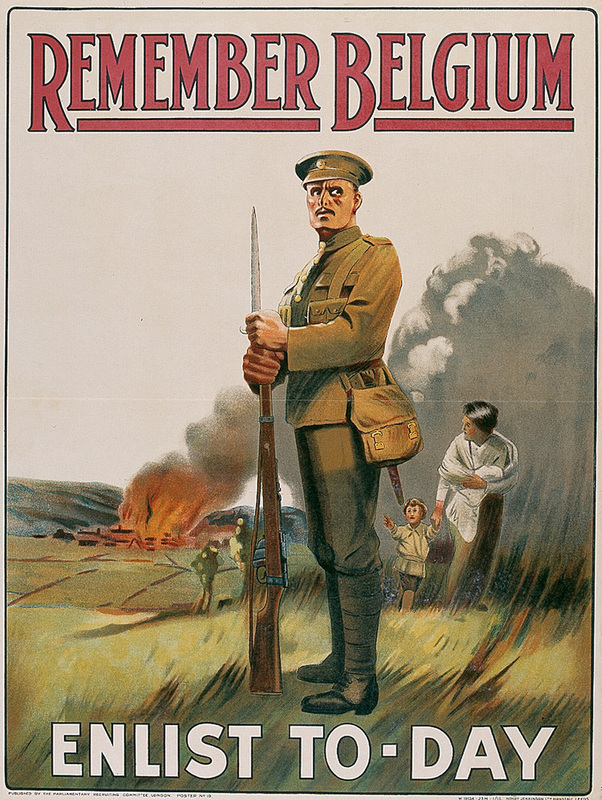 Although many people were shocked and fearful, on the whole the outbreak of war was greeted with popular acclaim in Britain. The public rallied around what they perceived to be a just cause. 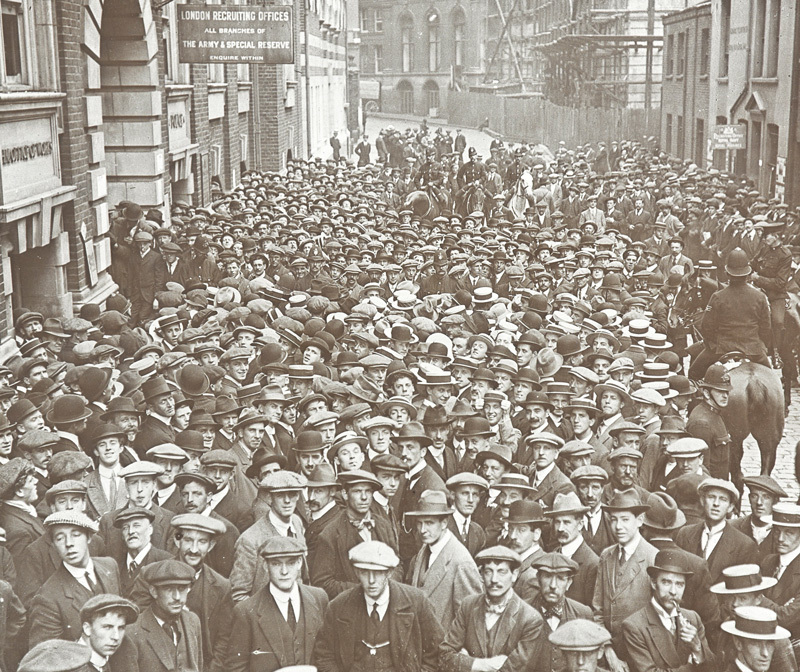 Around 30,000 men were enlisting every day by the end of August. Neither the Second World War (1939-45) nor more recent conflicts have generated anything like this degree of enthusiasm. Charles Oliver Robins Mosse (1891-1965) was born at Poona (now Pune) in India, the son of Colonel William Oliver Matless Mosse and Ellen Eliza Grimsdale. By the outbreak of war, his parents and sisters Kathleen and Doris had returned to England and settled at Hurstpierpoint in Sussex. 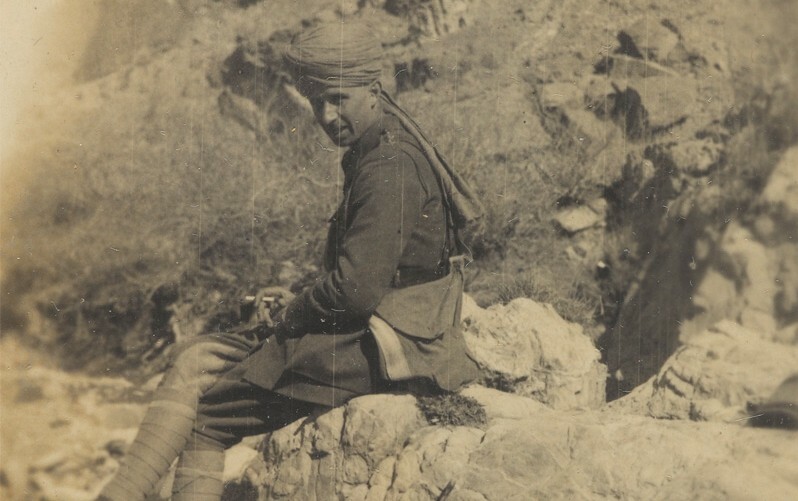 Mosse was commissioned as a second lieutenant in the Indian Army in September 1910 after attending the Royal Military College. He was made lieutenant in December 1912. Following his stay in London, Mosse re-joined his unit, which was eventually sent to Mesopotamia (now Iraq). He took part in the Battle of Basra (11-21 November 1914) and the Battle of Shaiba (12-14 April 1915) during which he was wounded. On recovering, he took part in the capture of both Nasiriyeh (24 July 1915) and Kut-al-Amara (28 September 1915), where he was again wounded. Evacuated by hospital ship, Mosse avoided the subsequent Siege of Kut in which his unit was forced to surrender. Awarded the Military Cross in April 1916, he was promoted to captain in September that year. In October 1918 both Mosse’s parents perished when their vessel RMS ‘Leinster’ was sunk by a German U-boat while crossing the Irish Sea from Dublin to Holyhead. Mosse eventually retired with the rank of lieutenant-colonel, but returned to the colours in June 1939 when he became a pilot officer with the Royal Air Force Volunteer Reserve. He later settled in Hampshire with his wife Marjory. He died at Bramerton Hook Road, Ampfield Romsey, in January 1965.